Our statement on Arts Council England report ‘Equality, Diversity and the Creative Case’. On 12 December 2016, Arts Council England launched a report entitled ‘Equality, Diversity and the Creative Case’, highlighting the current state of diversity across the cultural sector workforces across 2015 – 16. The full report can be downloaded by clicking here. ‘It’s refreshing to see disability mentioned as a key focus, as so often it is left out of discussions around equality and diversity. 4% of the NPO workforce identifying as disabled is shockingly low compared with the 19% of the population and whilst we’d agree that definitions and willingness to self-identify are factors, the report doesn’t go nearly far enough in looking at the reasons this figure is so far behind. Although it is shockingly low, we are sadly not surprised. It’s great to see Access to Work mentioned as a contributing factor, but the report does not go far enough. If you don’t earn more than £5824 per year as a freelance artist you are not eligible to the scheme. If the costs of your access goes above £41,400 then you are essentially capped. Other huge factors like PIP, ILF, ESA and other crucial support streams are complex and have started to become barriers to participation to the arts either as a worker or audience members. It’s hugely encouraging to see accessible performances on the increase. 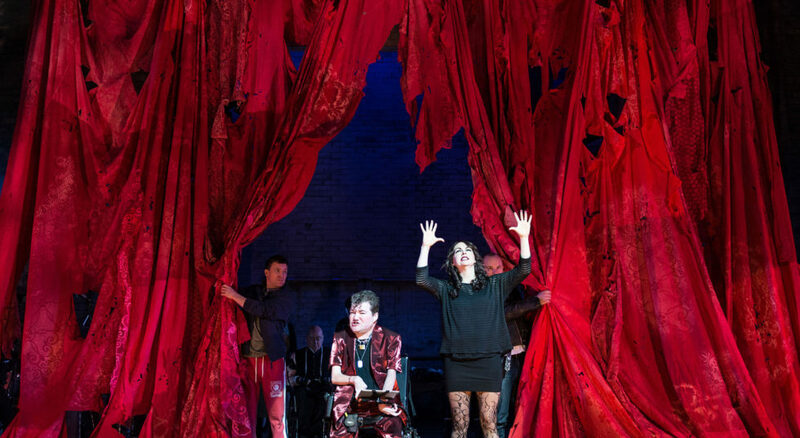 There is still work to be done in instilling confidence in venues, theatres and theatre companies to recognise the value of accessible performances which can not only help to bring in a D/deaf and disabled audience, but also contribute to the artistic and aesthetic vision. An article was published in The Stage on Friday 16 December 2016, which can be read by clicking here. For further enquiries regarding this, please email press@graeae.org or call 020 7613 6900.